My paintings and stained glass draw on similar themes. I am fascinated by the contrast between the ephemeral: people and their body language, and the enduring: the environment that surrounds them. My work combines the abstract with precise, almost photographic, detail – it is strongly narrative. My paintings usually have a disassociated viewer. Colour plays an important part along with the exploration in great detail of the figure in its environment and its relationship to others, together with the texture of the environment, and the concept of time past, time present and time future. Sometimes I etch on the picture glass of the painting, or replace the glass with a stained glass panel, so in this way I have been able to incorporate layers emphasising these ideas. Stained glass gives me the opportunity to explore the interaction of light with my subject matter and the immediate surroundings in a dynamic way. It imposes constraints and involves a strong design element within which I can explore my interests. Over the last few years I have been watching people’s body language as they use mobile phones and how that affects them, others and their awareness of their surroundings. They appear isolated, but are they? Birds have become an integral part of my work, both in my painting and my glass sculptures. They represent quiet, reflection and freedom in contrast to an increasingly busy and frenetic world. My paintings use watercolour, oil crayon, impasto medium and pencil on paper. 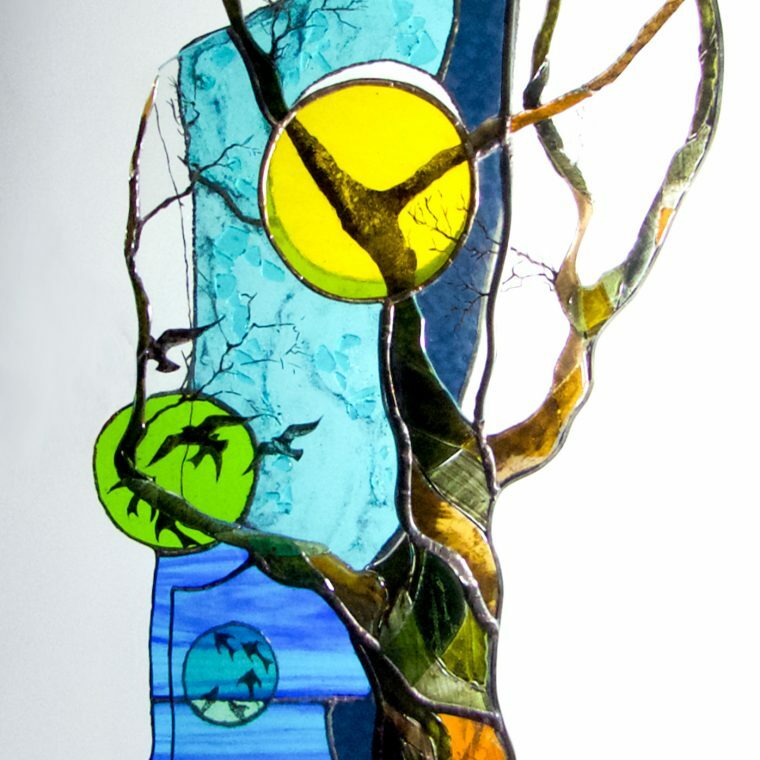 I use both traditional and modern methods when creating my stained glass pieces. The technique of cutting and painting glass has not changed for hundreds of years. 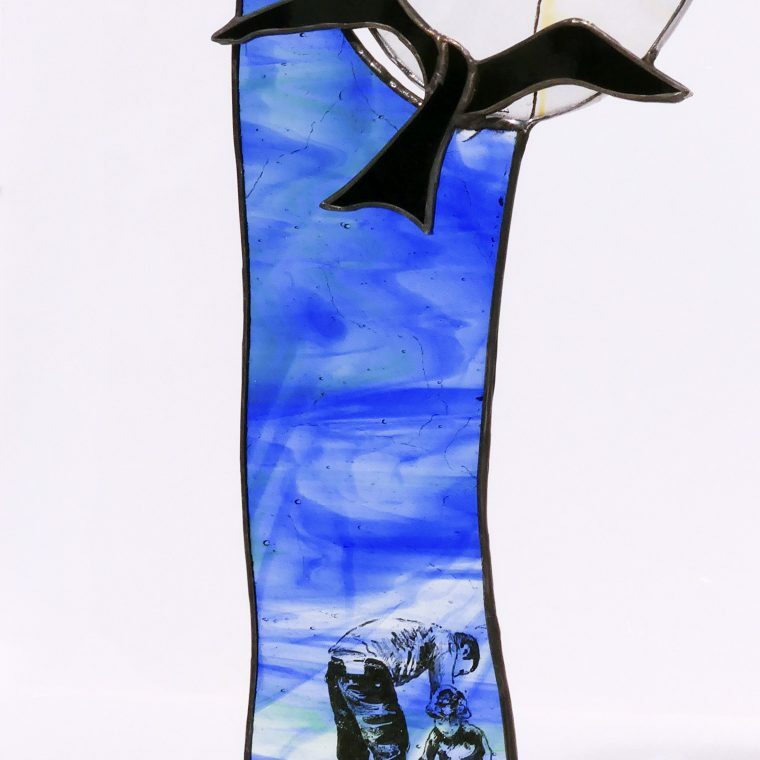 After the glass is cut the images are painted on and then fired onto the glass using a kiln. 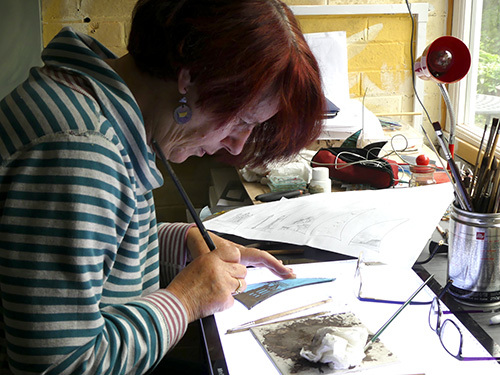 I use engraving, etching and fused glass to add a further and more modern dimension to my pieces. When assembling my work I am again incorporating a range of modern and ancient techniques, from lead came (H shaped extruded lead) to zinc came to hold the pieces of glass together. Or as in the more recent pieces copper foil and solder which lends itself to creating intricate sculptural pieces. 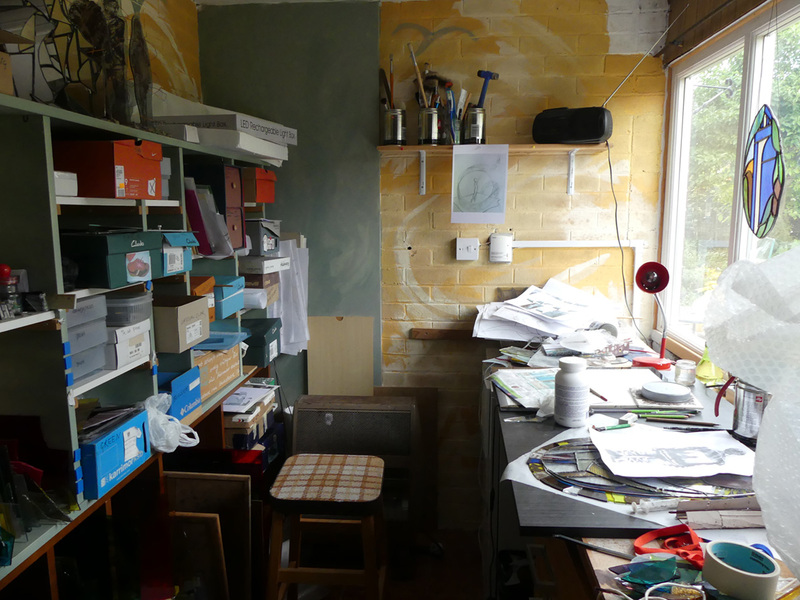 These are my studio spaces. Art has always been an important part of my life. My father was a sculptor working in wood and movement and dance played an important part in his work something which had an enormous influence on the way I work. Despite my interest in and involvement in art I went on to study Politics and Social Administration at Bristol University, which has also played a part in my subject matter. 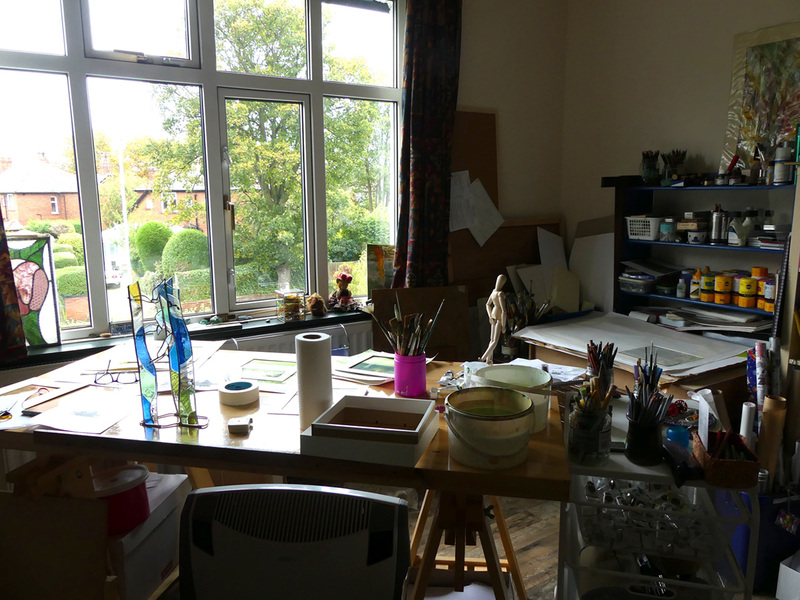 I have had no formal art training but I have attended workshops in watercolour and taken part time courses in etching and printmaking. I studied stained, leaded and fused glass in evening classes under Evan Jones at Swarthmore Education Centre. I continue to do advanced studying with Ann Sotheran. 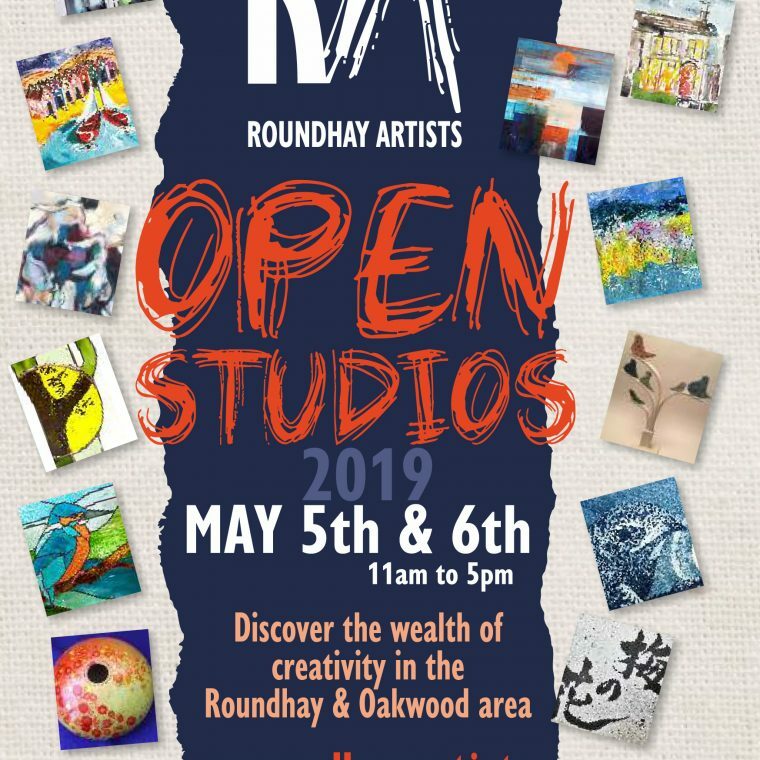 I regularly exhibit with Roundhay Artists in both their Open Studios and Pop Exhibitions. I have also been exhibiting at Staithes Arts and Heritage Festival since its inception in 2012. I take part regularly in Christmas shows. 2009 to 2011 through Artsmix I had work displayed at Debenhams , Shine, Cub LS1, and Hillside, in Leeds.